Openskies to close at Orly. LEVEL to take its place. For many years now, British Airways has had three 757 aircraft and more recently one 767 based in Paris flying between there and New York (both JFK and Newark) with their subsidiary airline called “Openskies”. I got the chance to fly them a few years ago in their business class (called Biz Bed) and had a really excellent experience, even writing to the then head of customer experience Frank van der Post to compliment the crew. They have three classes of service, Business, Premium Economy and Economy. Their Business class product is based on the first generation of Club World seats, so getting quite old now, but still fine for a short flight between Paris and New York. However they do offer touches a step above normal club world with enhanced mattress pads and pillows, as well as an enhanced food service. Well it appears that Openskies is to be closed and staff transitioned over to IAG’s new low-cost long-haul brand, LEVEL. 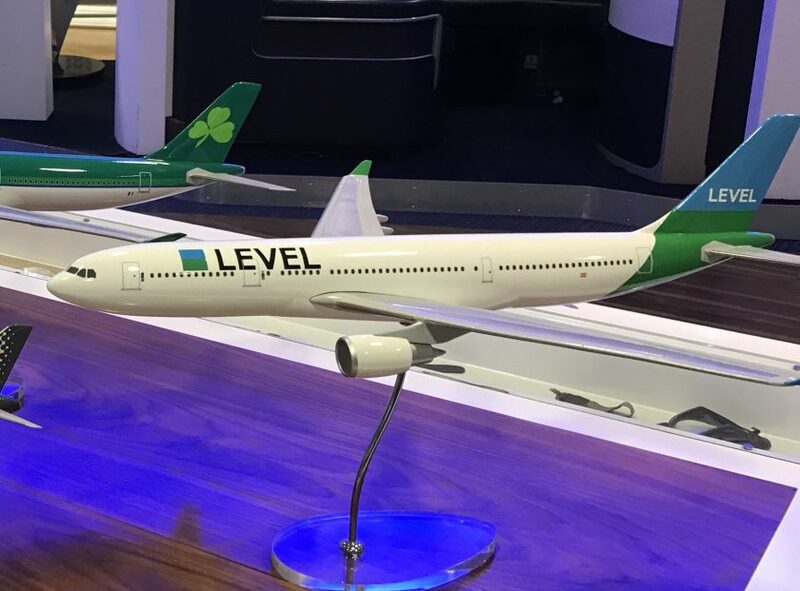 LEVEL will be expanding their destinations to Montreal, New York, Guadeloupe and Martinique, initially with two A330-200 aircraft, configured with 293 economy and 21 premium economy seats. Having been so impressed with the service in Openskies business class, I think that’s a huge loss, however I recognise it doesn’t fit in with the model that LEVEL has. The last Openskies flight will be at the end of Summer 2018, which I’m assuming means the end of the IATA season, which will be the last Saturday of October. LEVEL has been a huge success in Barcelona and expanding has only been a matter of time. It will be very interesting to see how they manage to compete against the like of Air France and their new airline Joon, which seems to be pitched at a very similar audience. Fares start at €99 one way and are on sale now. Previous Post: Lufthansa announces their new business class on Twitter. Next Post: Avios sale for World Traveller redemptions.